June 1, 2010 0 comments on "Peonies: A Favorite Cut Flower"
Peonies are my favorite flowering perennial; just one step above roses for cut flowers. They are very easy to grow and once established can tolerate long periods without rain. Additionally, unlike many other flower varieties they are quite disease resistant. Peonies were one of the first perennials to populate American gardens because of their large, showy and fragrant flowers produced in mid-to late spring. Peony flowers may be single, semi-double, or double and are commonly 6 to 8 inches wide. A mature plant can have in excess of a hundred flowers and these can be up to 10 inches or more across. The flowers range in color from crimson, scarlet, various shades of pink, to pure white. There are also new hybrid and tree peonies with yellow or purple flowers. Most gardeners are familiar with the large, double-flowered peonies. Garden peonies are also available in single-flowered, semi-double, Japanese, and anemone-type blossoms. Double-flowered forms often get so top heavy from the weight of the blooms that they bend over the ground and sometimes even break off the stem. These to me are the most spectacular, but should be staked so the flower stalk is not damaged. Tree peonies also come in single, semi-double and double-flowered forms, and the color range includes every color of the rainbow except for blue. Single flowered varieties seem to do better in shade than doubles. Semi-doubles have multiple rows of petals surrounding a cluster of yellow stamens. For many years these large double-flowered hybrids dominated the cut flower market, and were the most popular choices for garden planting. Peonies have not been readily available in nurseries until recently, and even now, it is not easy to find much beyond generic pink, white, or red unnamed varieties. 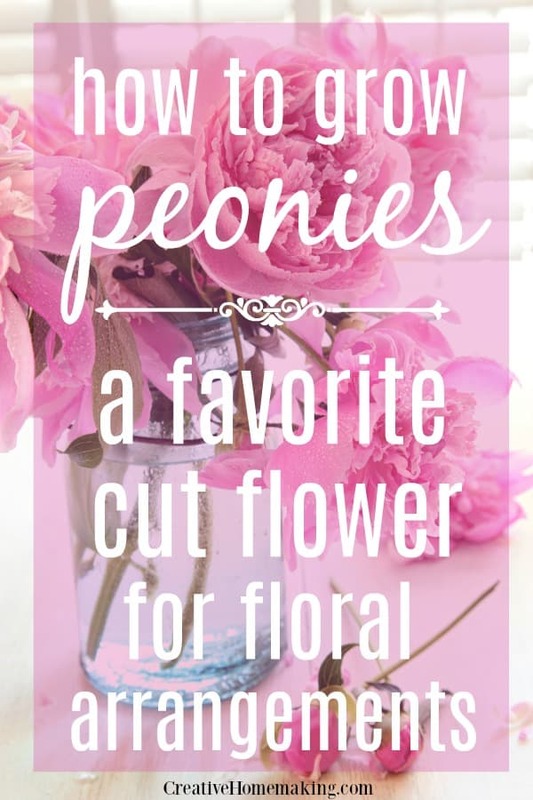 But, a huge variety of peonies exist. One may have to scout out what is available locally and fill in with more interesting, unusual types by ordering. Peonies come in two varieties: tree and herbaceous. The Chinese have about 1,000 varieties of tree peonies and 400 varieties of herbaceous peonies. The English also tinkered with peonies and introduced nearly 300 varieties by the turn of the 19th century. By planting early, midseason, and late varieties you can extent your peony blooms for most of the summer. Probably the most difficult part of growing peonies, like many other perennials is the time it takes to establish them in your garden. Most don’t produce many flowers until the second or third year and should not be cut for indoor use until the third year. Generally do not cut flowers from plants less than three years old and mature plants of five years or more should be left with about 50% of its flowers intact. You should, however, remove the fading and dead flowers to prevent seed development which uses up food reserves. Soil should be well-drained and excessive moisture can lead to the development of fungus. Peonies thrive in sunny locations, tolerating a wide range of soil types. Best growth is in soil with a pH of about 6. Well-drained, loamy soil is best for good growth of peonies. Peonies are heavy feeders and do not appreciate being moved so it is important to ensure they are planted in good, fertile soil. Peonies also tolerate dryness, but don’t expect them to be producing and storing food while the soil is dry. Once peonies are well established, one may notice an abundance of ants on the buds each year. Ants are attracted to peonies because of the sweet nectar they produce while in bud. The presence of ants on peony blossoms is neither beneficial nor harmful to the plant. Fall is the best season to move peonies (if you must) when they are dormant. Fall is also the best time to divide when swollen, red buds are clearly visible. Planting, transplanting and dividing peonies may also be done in spring as soon as soils are workable. Fall planted divisions that have had several weeks of growing time before the ground freezes, do better the following year than those that have had less time to develop new roots. Because winter chilling is required for dormancy, peonies do not perform well in subtropical areas. In cold climates, those with an average temperature below -20 degrees F, winter mulching may be necessary in the absence of snow cover. In preparation for the first winter, they should be given a light layer of mulch to prevent heaving from frost. If an extra cold winter kills the top growth of a tree peony, cut the dead wood back in the spring. Generally peonies need no winter protection, but mulch may be necessary in a few very cold areas. Planting – Dig a hole 12 to 18 inches deep and 12 inches wide. Place the peony in the prepared hole so that the eyes – small, red-colored buds are one to two inches below the soil’s surface. Never cover eye by more than a couple of inches of soil. ink a stake behind the plant (less noticeable) and use stakes to support the larger varieties, particularly the double peony. In the fall, after a heavy frost, remove and destroy the stems of garden peonies down to 3 inches from the soil surface to eliminate the possibility of the fungal diseases over wintering. Take the time to seek out high quality peonies, prepare your soil well, plant and enjoy years of fresh colored flowers. As I have moved around, mostly in mid-America, I have started peonies at my new residences frequently, always with great success. Even without the extra care described above, one will usually have a fair amount of success. 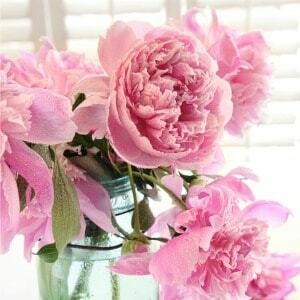 While undoubtedly one of the most hardy and easy of the perennials, peonies are most highly revered for their beauty. Robert Schpok is an avid gardener who has used his gardening skills to greatly enhance his culinary techniques and ability to create great new recipes.